Our stand was buzzing with activity on all 3 days of the Plasa Show at London Olympia. Not only did the show see the release of many new products, we also showcased our new corporate branding, following on from our recent relocation to our new warehousing and office complex. Our corporate mixed with industrial vibe this year proved popular, with many visitors being drawn in to our open and inviting space, which allowed our team to interact with both new and existing customers. Our Global Truss ground support system took centre stage on the stand and included a purpose built bar for people to sit, chat, have a drink and learn all things Prolight. 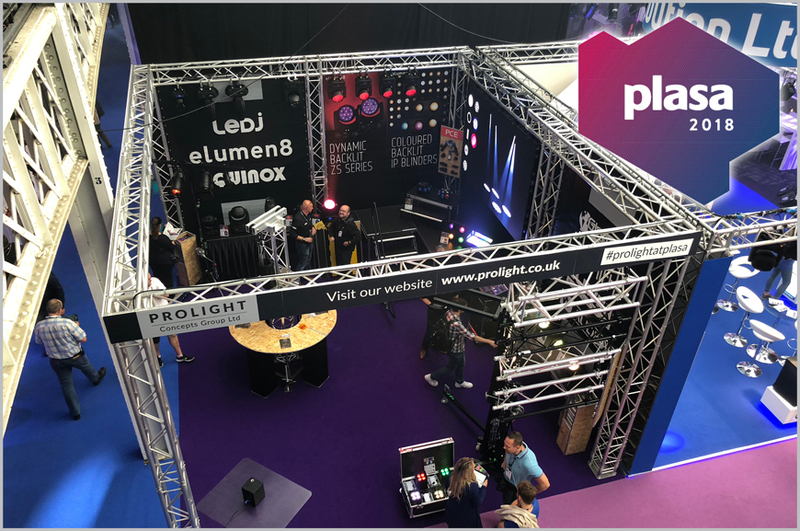 Shows like Plasa allow our team to give live demonstrations to visitors, allowing users, lighting designers and installers to truly see the features of our products. 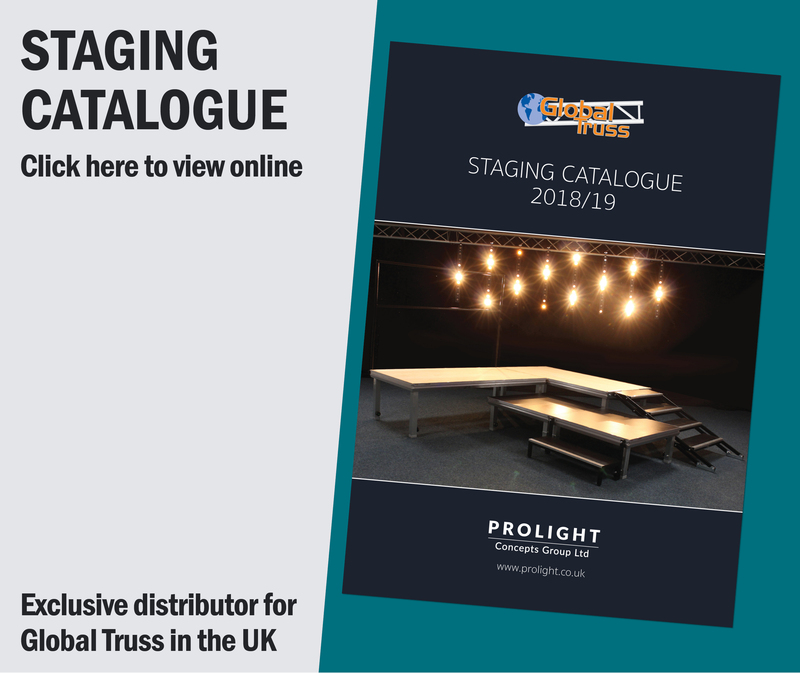 The stand heavily featured our Global Truss staging range, which proved to be a massive talking point, and is now accompanied by a dedicated brochure, released at the show. Our staging range has grown dramatically over the last 12 months and will soon include our new Tour Deck with people wanting to know more about this and anticipating its release. With 3 versions available in both black or polished aluminium housings, the LEDJ Stage Par CZ series are powered by high output warm white, cool white or quad-colour (RGBA) COB LEDs and proved popular at the show. 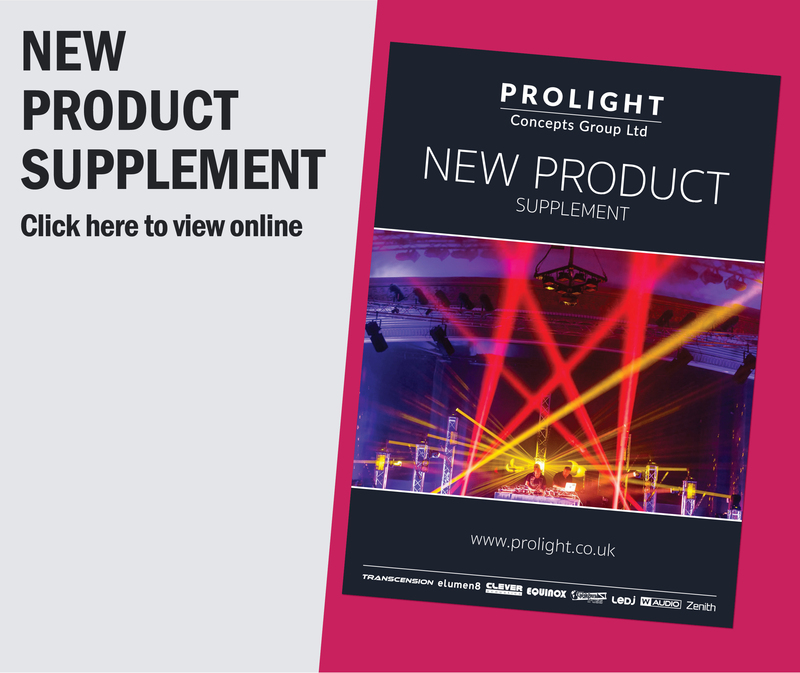 The host of features available, including a manually adjustable beam angle, make this range ideal for stage productions, concerts or theatre applications. The big hitters at the show were our just released dynamic eLumen8 Kudos ZS series. These dual colour moving heads are not only loaded with a variety of control options, they also feature vivid RGB backlights creating stunning ‘eye candy’ effects. eLumen8 have also just released the new Fury blinders, not only are they loaded with 90W individually addressable amber and warm white COB LEDs, each cell also features an RGB backlight. With the added bonus of being IP rated, these blinders are super versatile making them ideal for rental and installation. Having our PCE and distribution ranges on show provided visitors with more awareness to the expanse of products we offer, with many enquiries being made about these and other peripherals we stock. Our LEDJ QB1 uplighter series were also a big talking point with many with particular interest in the new HEX and IP versions. Speaking of IP rated fixtures, the heavy-duty eLumen8 Endura series that were on display, are rental ready, built-to-last and available 9 different LED output and colour options available from cool and warm white through to RGBW, RGBA and even a HEX version. It was great to be able to show our 3 eLumen8 Evora moving heads off in their full glory at this years show. Visitors loved their high output and even when projected onto the far side of the Olympia exhibition hall in broad daylight you could see them very clearly. The Evora series, available as a 100W spot, 180W spot and 180W hybrid beam, spot and wash, have each been designed to give lighting designers and installers an arsenal of professional features and effects needed in today’s event and installation markets. Stand space was also given to Kuzar lifters, with great feedback and enquiries about larger weight loadings that we will look into with Kuzar for development, and to hopefully expand this range further going forward. 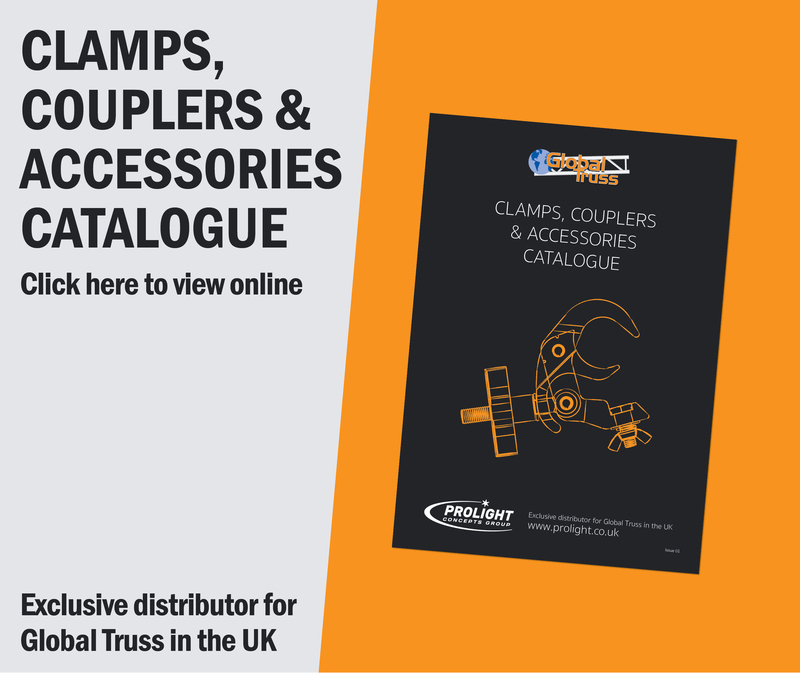 All of these exciting products can be found on our website, with many also being featured in our ‘New Product Supplement’ publication. Didn’t pick up any copies at the show, why not download them online clicking the links above or use our contact page if you require one mailing.